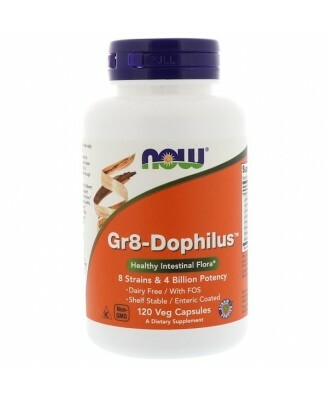 NOW Gr8-Dophilus is a combination of 8 different species of bacteria. Other Ingredients Cellulose (capsule), FOS (fructooligosaccharides), ascorbic acid, magnesium stearate (vegetable source), and enteric acid. Not manufactured with wheat, milk, egg, fish, shellfish, or tree nut ingredients. Produced in a GMP facility that processes other ingredients containing these allergens.Contains trace amounts of soy protein (peptides) and gluten (barley) (peptides). Each capsule contains 11 billion live organisms at time of manufacture. 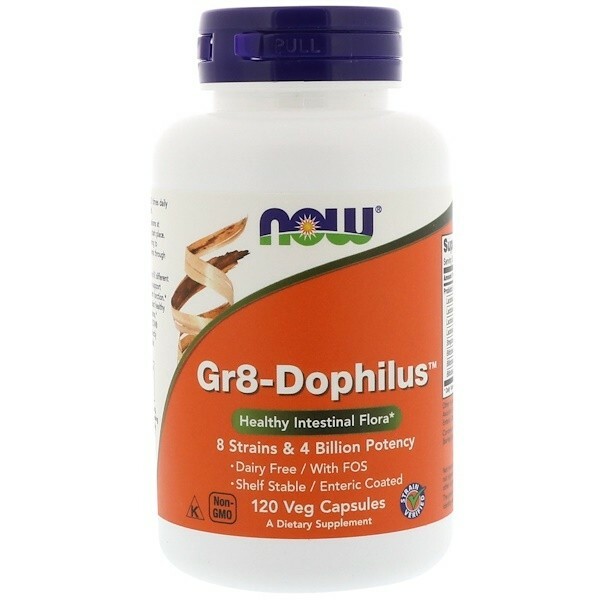 NOW Gr8-Dophilus is a combination of 8 different species of bacteria. 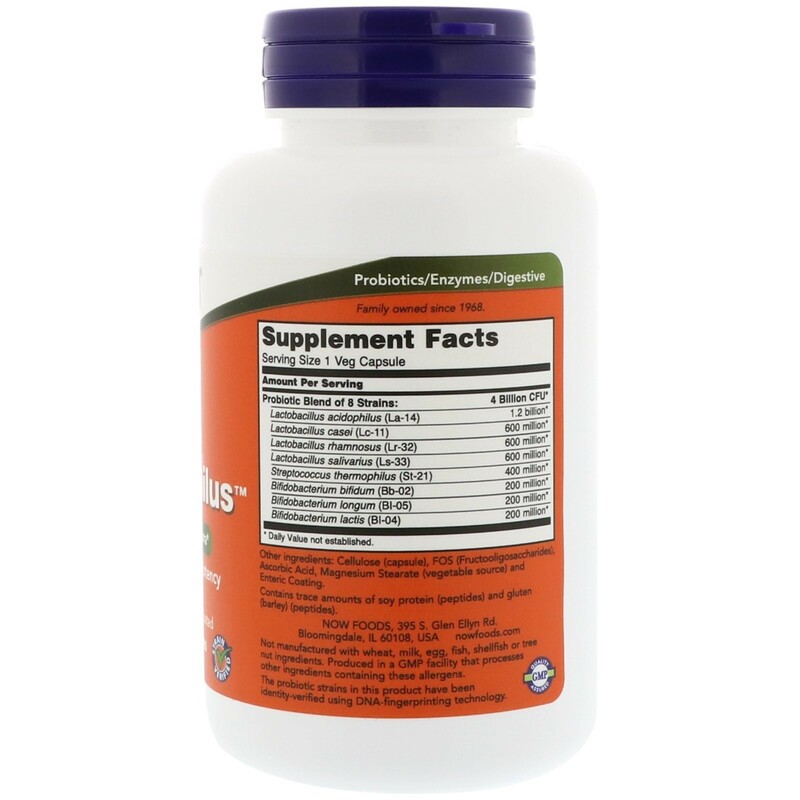 FOS is also included in the product to assist healthy growth of Acidophilus and Bifidus organisms. Because this capsule is enteric coated, NOW Gr8-Dophilus delivers its microflora directly to the intestine. The probiotic strains in this product have been identity-verified using DNA-fingerprinting technology. Take 1 capsule 1 to 3 times daily between meals or on an empty stomach. Caution: Consult physician if pregnant/nursing, taking medication (especially immune-suppressing drugs), or have a medical condition (especially if immune system is compromised). Keep out of reach of children. Store in a cool dry, dark place. Refrigeration is recommended after opening to provide a potency of 4 billion live organisms through the Best By date. Keep in bottle.